In a video of just under a minute and 15 seconds, Jeremy Lee Sanchez performs a visual vernacular of his favorite film, The Matrix (1999). It is impressive in its compact richness of conveying the film’s story line as a signed literary work that combines many elements of body movements, iconic signs, gestures and facial expressions. It is as clear an accounting of The Matrix storyline as anyone else might relate in the form of the spoken word. However, Sanchez’s version urgently captures the excitement that compelled so many people to watch the film and to embrace it as a timeless cultural artifact that came at the turn of the millennium. What really stands out in Sanchez’s performance is the immediate recognition of American Sign Language’s power to convey the subtleties, ripples, nuances and tones of the symbolic and abstract expressions that also would be found in spoken languages. For deaf poets, it is the opportunity to create a poetic body of literature that is as kinetic as others — and likely even more so. It also opens a new path to appreciate the performing space and the communication between poet and audience. 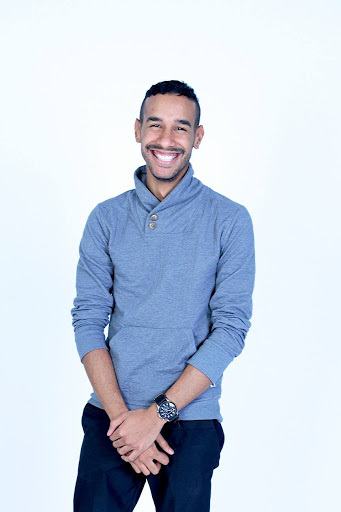 Sanchez, a native of New York City, will perform this weekend at the Utah Arts Festival (June 24, 3:30 p.m., Big Mouth Stage) and will lead a workshop on the art form of ASL poetics (June 24, 2 p.m., SLCC Community Writing Center). Ultimately, one begins to comprehend how the deaf poet performer is essentially the ‘book’ or ‘anthology’ or ‘chapbook’ of the works of signed poetry. Also, one can see how that poet embodies a multi-layered wealth of cultural and linguistic roots, influences and inspirations which should inform both hearing and deaf audiences as well as those who sign and those who don’t. In an interview with The Utah Review, Sanchez explained that in his formative years he attended a school for the deaf that eventually was transformed into a mainstream institution. After a visit to his school by a teacher from Gallaudet University, the young man realized that ASL was not just a system of finger spelling and iconic gestures but also a language equipped to open up a line of verse in a new way of looking at the spatial and kinetic possibilities of the moving body and hand forms that elicit the full aesthetic impact of the deaf poet’s performance energy. Sanchez was inspired by the work of Douglas Ridloff, a Brooklyn performance artist who founded ASL SLAM, and David Rivera, an actor, an ASL storyteller and a full-time professor in ASL-English interpreting programs at Union County College in New Jersey. Motivated by the experiences of his mentors, Sanchez eventually joined Deaf Jam, where he continued to develop his artistic craft, and worked at the Whitney Museum as a deaf docent as well as with deaf artists. As he developed his art form, friends and colleagues urged him to share his experiences. “I was this quiet, shy guy but everybody was telling me that I needed to get the word out on social media so I set up an account on Instagram,” he recalls. Over the next year, he received many likes for his work, which gave him the confidence to expand his performance and teaching efforts. This led to developing workshops and classes and establishing ASLNYC, which operates in the Dumbo neighborhood of Brooklyn. ASLNYC offers classes to deaf, hearing and hearing impaired students who want to master ASL as a creative form of communication. Demand is strong, a not unexpected finding. In a survey several years ago administered by the Modern Language Association, ASL had overtaken German as the most popular language for college students to study, ranking third, just behind Spanish and French. In fact, while overall language enrollment was down across the board, interest in ASL has continued to rise at the fastest percentage among all languages. Sanchez is focused on continuous improvement in his work, making new efforts to avoid becoming stale or allowing his work to plateau. As his performance of The Matrix indicates, he has found the emotionally powerful and cinematic aesthetics of visual sound, which potentially redefines what it means when a literary artist wants to plumb the depths of poetry that goes beyond choosing and prioritizing the form of language in the work. He gives an example of the complications of translation and interpretation involved, especially as the English language vocabulary expands with plenty of new words and phrases to identify and describe new communication and information technologies. For example, the term of ‘social media’ does not have a formalized, universally accepted sign in ASL. “We’re trying to find our own corollary for it but right now I don’t know,” he explained, adding the debate about it is contentious. Some people have tried to come up with their own signs for the term but they are not standardized while others play it more cautiously, recommending that the term be communicated through finger spelling. However, trying to figure out the best approach to communicate the term or phrase will not be settled easily if some insist on following strict rules of grammar or usage, according to Sanchez.Even going from one language to another, variations in cultural expectations, influences and relationships raise questions about what ‘social’ in ‘social media’ means in one country or language but not necessarily in another. Meanwhile, Sanchez is focusing on developing the curriculum for the classes at ASLNYC and continuing to develop programs to build artistic skills in ASL storytelling. 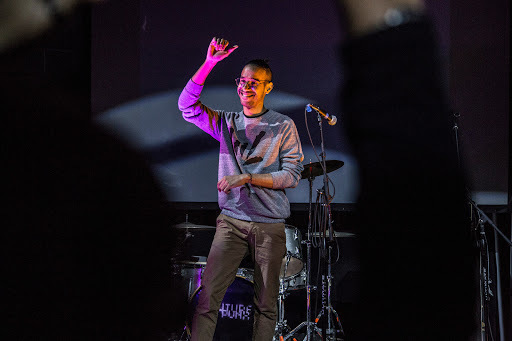 For the next generation of deaf poets and literary performers, Sanchez hopes that he and his colleagues can become the effective mentors to help grow the number of deaf poets and other literary artists, especially in works of visual sound – an opportunity he did not have immediately available when he was a young man in school.